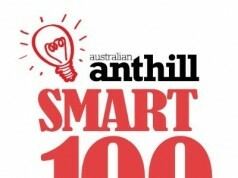 ClaimLogik has scored a spot in the 2018 SMART 100! Brian Siemsen, the founder of Claim Central Consolidated (a leading claims management services business), became frustrated with the traditional property insurance claims process which has remained relatively unchanged for 150 years. Historically, the process was divided into many parts, handled by multiple disconnected people and platforms – leading to chaos, delays, cost blowouts and a complete lack of transparency for insurers and customers. Utilising our experience in managing thousands of property claims over the past 16 years, ClaimLogik developed a world-first digital platform to streamline and automate the entire claim process for better cost, lifecycle and customer experience outcomes. 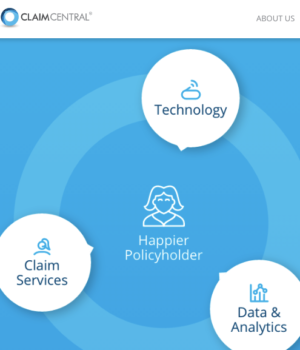 …connect everyone in a property claim from first report all the way to completion, to minimise claim costs, reduce claim life cycles and provide a better customer experience and ultimately ensuring greater customer retention for the insurer. …enabling clear line of sight to the activities and status of every claim. 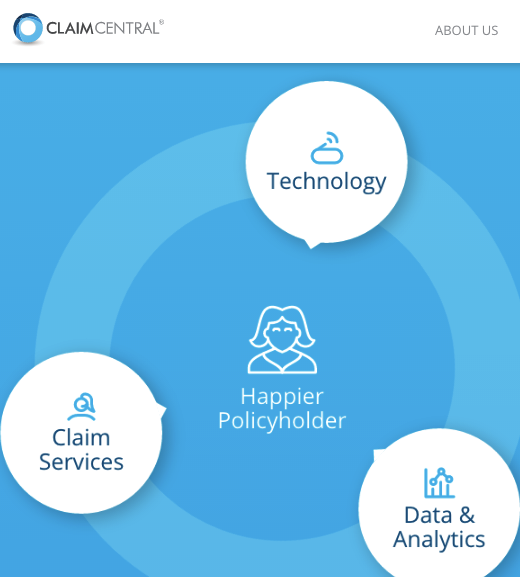 Based on the concept of one claim, one platform,” all claim processes and participants are connected online through ClaimLogik’s unique Claim Management and Stakeholder Management capabilities. There is no question about who has responsibility at each claim stage, the activities to complete and the outcome expected. Previously, it was impossible for insurers to gain complete transparency across EVERY stakeholder during EVERY stage of the claim, and impossible to deliver superior service, analyse claim performance and drive better claim outcomes. ClaimLogik has cracked the code by creating a complete property claims management ecosystem connecting everyone in a claim from first report all the way to completion. Continuous improvement across three key drivers for insurers. Reduces average CLAIM COSTS by 28% through automated downward cost pressure. CUSTOMER EXPERIENCE with average Net Promoter Scores of 8.8/10. Multiple disconnected digital platforms that handled only part of the claim process, but could not connect EVERY stakeholder at EVERY stage from beginning to end. Customers were forced to deal with 10 or more disconnected parties during their claim and insurers had no way of tracking the claim with any transparency leading to chaos, delays and increased costs. Symbility, EnData, Cordell, ConSol and Rightindem. However, there are no predecessors because ClaimLogik is the worldâ€™s first and only platform that connects everyone in a property claim from first report all the way to completion. Insurers primarily, as well as Third Party Administrators (TPA’s) and Property Repairers. AUSTRALIA / NZ: Used by several of Australia and New Zealand’s leading challenger/progressive insurance brands, TPA’s and property repairers. GLOBAL: Recently onboarded our first USA insurer. We have also signed on our first clients in South Africa and Italy. Due to the product’s scalability, the global addressable market is significant. We are looking to expand in all regions mentioned above over the coming 12 months, plus the United Kingdom’s primarily targeting progressive insurers. The combined revenue potential of these markets is approximately AUD $1.2b. Direct to insurer – white-labelled and fully integrated with the insurer’s core business applications, to manage claims internally. Educate insurers about the pain points of legacy systems and processes, and demonstrate how ClaimLogik creates superior cost, lifecycle and customer experience outcomes using proven data and results. This is achieved in each region via thought leadership initiatives; social media and online channels; PR & marketing campaigns; video marketing; and sponsorship at industry events globally.